Jennifer Hirsch's principal areas of expertise are gender, sexuality, and reproductive health, U.S.-Mexico migration and migrant health, the comparative anthropology of love, and the applications of anthropological theory and methods to public health research and programs. Her books include A Courtship After Marriage: Sexuality and Love in Mexican Transnational Families (University of California Press, 2003), which explores changing ideas and practices of love, sexuality and marriage among Mexicans in the U.S. and in Mexico, and the coauthored The Secret: Love, Marriage and HIV (Vanderbilt University Press, 2009), which analyzes the social organization of extramarital sexual practices in Mexico, Nigeria, Uganda, Vietnam, and Papua-New Guinea and the implications of those practices for married women's HIV risk. She has also published articles in journals such as American Journal of Public Health, Studies in Family Planning, AIDS, and Culture Health and Sexuality. 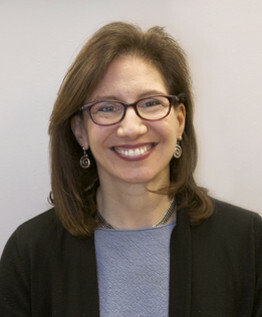 Along with Dr. Claude Ann Mellins, Hirsch currently co-directs the Sexual Health Initiative to Foster Transformation (SHIFT), which is a study supported by the Office of the President that examines sexual health and sexual assault among Columbia and Barnard undergraduates.